Launchpad couldn't import bug #47671 from freedesktop.org Bugzilla. - Select italian and set the network manager, everythings is OK.
- The session will be started with the english layout. to avoid some race conditions. 16:44 <mterry> so the greeter is just being a jerk and resetting it. So I confirmed that if from a shell I completely stop lightdm, then start it again using autologin, I get a US keyboard. 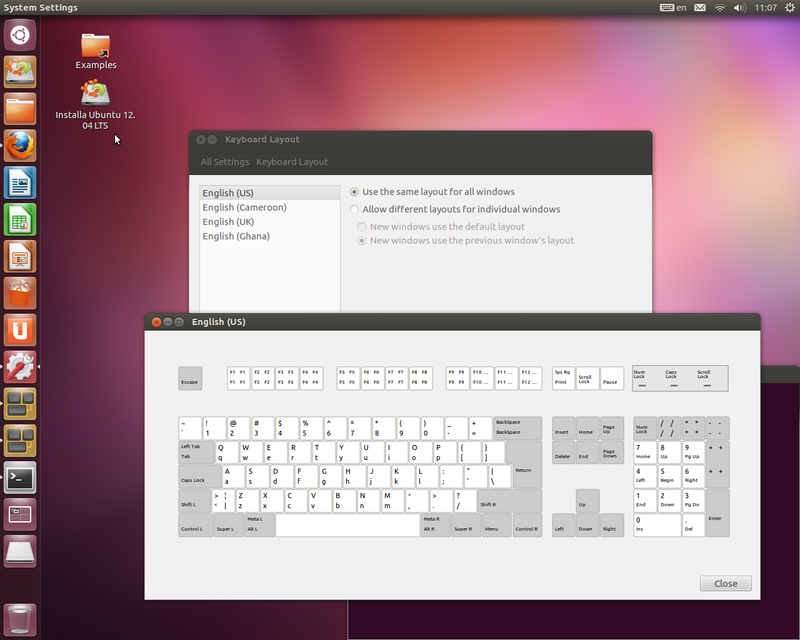 If I do the same but without the autologin config entries, I get the expected Italian keyboard. That also explains why doing a logout from the live session and logging back into the session works as doing so goes through the non-autologin path. This also affects non-live-CD sessions. As stgraber mentioned to me on IRC, this seems like it might be a bug in gnome-settings-daemon failing to set the layout...? This also isn't shell specific. GNOME‌‌ Shell has the same behavior, though its keyboard indicator at least is honest about it and shows "en" (Unity's indicator optimistically assumes your layout was set correctly and shows what it *should* be). Moving this bug over to the desktop team, I remain directly subscribed in case ubiquity actually needs changing. So the problem we've noticed so far is that if you have "org.gnome.libgnomekbd.keyboard layouts" set to "['it','it\tnodeadkeys','it\tmac','it\tus']" like you do after running the ubiquity greeter and start a gnome session without going through the unity-greeter, you'll end up having the US layout set instead of the "it" layout you'd expect. - gsettings set org.gnome.libgnomekbd.keyboard layouts "['it','it\tnodeadkeys','it\tmac','it\tus']"
You'll notice that the keyboard indicator shows "it" as expected, but the actual layout is US. Downgrading libxklavier to 11.10's version fixes this for me. Looking into changes now. Notice that your layout ends up being "it\tus" instead of "it". If you instead set your layouts to ['it','it\tnodeadkeys','it\tmac'], you DO NOT get the bug. That is, libxklavier is matching against the 'us' part of 'it\tus' for some reason. I'm going to push a version of the package that reverts that patch. Since the bug it fixes (https://bugzilla.gnome.org/show_bug.cgi?id=649377) seems less bad than this one. Meanwhile, I've filed a bug upstream about this issue, linked to this bug. In yesterday buil;d it wasn-t present, but today-s it is back with libxklavier updated. I'm not sure. Ubuntu doesn't use GDM by default. LightDM happens to do the right thing, and leaves the layout correct when it starts the user session, which is why the Ubuntu bug mentions autologin. Confirmed with daily build (20120402) live usb with persistence. After first boot and selecting Italian, i get us keyboard. After rebooting i get the correct "it" one. It's not related at all probably, but have you had a look into this recently fixed bug #926207 ? Hrm. :( I can't reproduce with latest nightlies (in Unity 2D). Maybe Unity 3D is a part of the puzzle? Will try that. Scratch that, I just got it on the Live CD, trying the exact same thing I did before... Suggests something is racy here. Tried Precise build 20120403, I can't reproduce it in a VM, but It appears with a persistent usb disk. Note that this is *not* the original bug here. In this case, the menu is correctly showing the layouts as represented by gsettings. So this is a different bug about why some settings on the LiveCD are racy and not what we'd expect. Added a ubiquity task, since stgraber indicated on IRC that it does this sort of gsettings tomfoolery. Perhaps it's killing the dconf daemon before it writes to disk? Or setting sometimes isn't working? device to avoid regressing LP #756920. * Add support for Windows 8 user directory detection. * Make ubiquity depend on dbus-x11 for dbus-launch. and (2) when the mini dbus session dies, presumably the dbus daemon will write anything to disk that it was holding on to. I just tested last night's ISO 12 times and it worked each time. Is this fixed for others too? In today's build isn't present. I will surely perform others daily tests for the next week. Bug is present in daily build 20120410. Will try 20120411 now. Bug still somewhat present in daily build 20120411. First boot after installation, keyboard layout is correct (in my case Norwegian). After installing updates and rebooting, keyboard language is changed to English, and I have to run dpkg-reconfigure keyboard-configuration. Applies to every reboot. Just upgraded from an Oneiric-install, and the only way I can get proper Norwegian layout is to run "dpkg-reconfigure keyboard-configuration" from within the X-session and re-select already correct settings for Norwegian. It will only last for that single session. Logging out and back in causes wrong English layout to be used again. LightDM always uses the wrong layout, even though it says "No" in top right corner (keyboard layout indicator). I can't reproduce with either Italian or Norwegian Bokmal. For each, I did "Try Ubuntu", installed, rebooted, updated, rebooted, turned on autologin, rebooted. In each case I tested that the layout was displayed correctly and worked correctly. Can you give clear reproduction steps? Skip the "Try Ubuntu"-step and install directly. That's why I started a separate bug report. > displayed correctly and worked correctly. > Can you give clear reproduction steps? > duplicate bug report (970146). > - Select italian and set the network manager, everythings is OK.
> - The session will be started with the english layout. I've done your testcase and in my case is OK , I'm italian and I've got a qwerty keyboard then the keyboard is correctly detected as a italian keyboard (probably by linux or xorg evdev) and if I go to see the french keymap you use the azerty type. So I think that this bug isn't related at all. I've done also an install test selecting français as language, but it propose me italian as keyboard layout, and this is right because this is an italian keyboard. 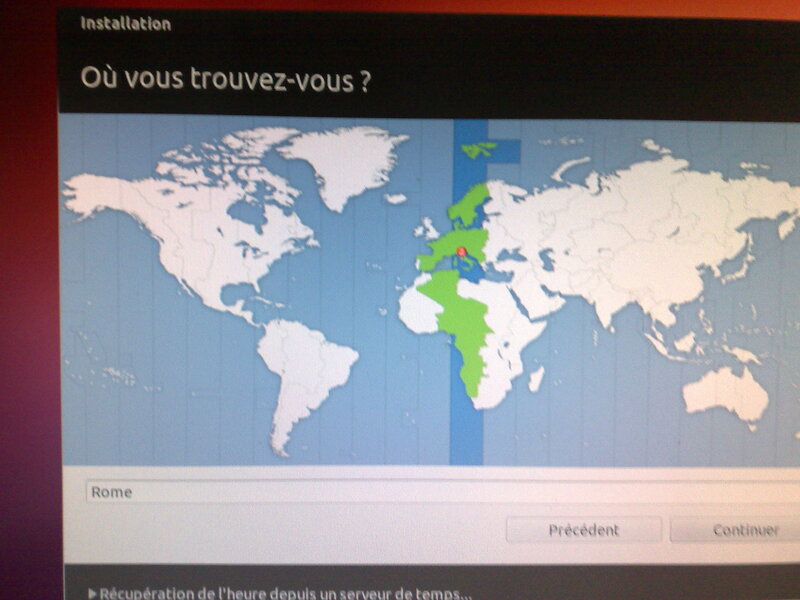 Another thing is that it propose my timezone as Rome, so the environement is perfectly localized. Test done connected by wire and usb without persistence. keyboard righly detected respect the language selection. On another machine I can confirm Jibel's issue. same behaviors, just now i've discovered that it propose the italian layout during the installation when connected to internet. Note that this is a different bug than originally (that was only with autologin) and a different bug than the ubiquity one (which was about gsettings not being correct). This one seems to be about variants confusing everything. If you have "fr\toss" (French (Alternative)) as your first layout, you seem to get this bug, even outside of the LiveCD. I'm looking into why. It affects both Unity Greeter and the session itself. That 2 in there is the X error code, which means BadValue. I assume 145 is the major op code that got assigned for the XKBFile extension. If so, 9 is the X_kbSetMap request. Which all fits with an error trying to set the new layout map. So the question is why we got BadValue... Looking into why xkbfile would do that. Oh wait. I do believe that the error code is relative to the extension. So for libxkbfile, 2 means _XkbErrMissingTypes, or "key types not defined". So it seems the map file doesn't have it's key types defined... Does anyone more familiar with layouts know what that means? /me goes on IRC. IMHO is the same beast of bug 973277 (read just step 32) affecting network manager (who can miss or reset the settings ??). This afflict russian languages too, not only french. OOOOOOO, sorry bug 973227 everytime I fail !!! Fabio: Please don't try and mix all your bugs, this one clearly looks like a libxklavier issue as we actually have an error message. Your Network Manager problem rather looks like a race in Network Manager, some policykit weirdness or an issue caused by the lack of inotify support on overlayfs. Let's take the issues one by one if we want to have any of these solved for release. I created bug 985065 to deal with this new fr/oss issue, since I don't want to keep beating the dead horse of this bug.